When seeking new supply chain partners, you typically have choices. It’s natural to consider factors such as product performance and pricing levels when deciding with whom to work and how to go about it. Are you overlooking value-added services that could take your product to the next level, though? Whether you are still working through the viability of a new product offering or seeking opportunities to enhance your product, you may be missing out on extensive expertise that a supplier can offer if you do not know the right questions to ask. Unsure of where to start? Here are five value engineering focus areas in which a supplier partner could help you take your offerings from ordinary to extraordinary. While you may have some R&D capabilities in-house, a supplier like Americhem with specialization in polymeric research and product development can help you sort through color and performance testing. From idea inception to product commercialization, your supplier’s R&D department can help with applied research and development, color and raw material science, formulation and process design, and property modeling. They can even aid companies in their new product development goals. Whether you could use help with rapid color design and prototyping or you want to test products without interrupting your daily operations, consider how a supplier could help. For instance, Americhem experts can collaborate with you on product requirements, then run pilot lines and process simulations ranging from molding (injection and injection blow) to extrusion (blown film, film and sheet, profile, composite board and siding) to synthetic fiber (spinning, false twist and air jet texturing, and knitting) and more. • Analytical and physical testing, including polymer composition and properties, polymer performance, dispersion quality and contaminant/impurity identification, predictive heat buildup, end-group and unreacted monomer analyses, and microscopy with ATR and ARO capabilities. • Weathering testing, including accelerated weathering and real-time outdoor weathering projects. • Quality testing to achieve lot-to-lot consistency, confirm product reliability, and set exacting targets and tolerances necessary to ensure adherence to a standard of excellence. Suppliers may also provide guidance on color design, specifically, based on knowledge of cultural trends, fashion preferences and general color rules. 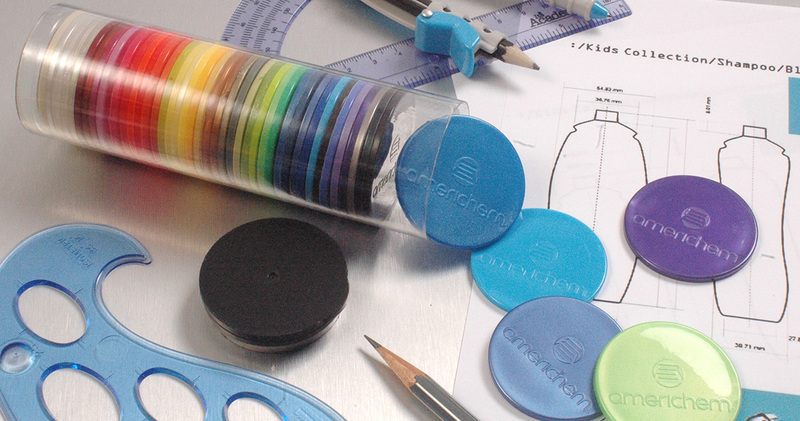 Americhem has several color design centers throughout the world that customers can visit for hands-on work with package design or fiber design. You can test samples, assess thousands of samples and see special effects firsthand. Utilize Americhem’s proprietary vDesign® product design software or receive highly personalized in-person service—whatever suits your needs. Trends, technologies and industry realities tend to shift quickly, and suppliers can help you stay up to date on the latest science behind color and polymer performance. Whether you seek subject matter experts out at global technical conferences and events or attend an Americhem U lunch and learn event, opportunities exist for you to learn more about factors that affect your business, but may not lie within your core competencies. Value engineering is one of the many reasons that companies all over the world choose to work with Americhem to maximize their products’ market impact. You can learn more about their offerings at http://www.americhem.com/value-engineering.